Showcase your precious family photos with scrapbooking ideas heritage albums. Heritage scrapbooking is a marvelous way to document your family history and share the grand stories with your future generations. If not, how would your future grand and great-grand children learn about their ascendants? People are curious to know where they come from and whom they belong to. For me, I’d love to have such a heritage album where I can find out who’s my great-grandparents were, the kind of work they used to do, how they did they survive through their challenging times, what’s their personalities like, and how did they look like? If you have such an album, lucky you! If not, you can create one with the heritage scrapbooking ideas you’ll find here. And you can be sure that your heritage scrapbook will become a lasting gift for your future generations. But please, if you’re a beginner and this is your first attempt at scrapbooking, you might consider putting your heritage album on hold first. Because I don’t wanna see the anguish on your face when you cut up your one-of-a-kind heritage photos! And since your focus here is to preserve family memories, be sure to use archival-safe materials for all your heritage albums. Ready to plunge? Read on for an excellent article by Your Family Legacy on heritage scrapbooking. Although many of us gather lots of family heritage facts, we don’t necessarily give time to creative ways of displaying it. We look at the “pile” of facts, letters, photos, certificates and such, and feel overwhelmed. Creating a heritage scrapbook album, or telling your family story, can seem impossible. Often the difficulty may be in thinking that you have to start at the beginning, and methodically tell the whole chronology of your family. Instead, try thinking of your heritage from a theme standpoint. You can create many heritage scrapbooks, with each centered around a specific theme as it pertains to your family. What do we mean by themes? Here are some examples. Military: Create a tribute album of all the men & women in your family who served in the armed forces. This can be especially moving if you have ancestors who served in early wars and family who have served in recent times. Tell a brief history of their military career with copies of service records and photos. Of great interest would be tidbits from regimental or unit histories. If available, be sure to include recollections or stories about their service. Grandpa always told about his dad living off of sweet potatoes in the farm fields during the Civil War. This will personalize the individual to all who see your heritage scrapbook album. Family Recipes: How many great recipes are in your family? How many have been handed down? Preserve these wonderful dishes from the past and present in a special heritage scrapbook recipe album. Besides the actual recipe, things you can also include are a picture of the dish and the person attributed with it, any traditions associated with the recipe, and peoples favorite memories surrounding it. Just as important though, be sure to leave room for your descendants to add their future favorites. Occupations: Create a heritage scrapbook of the many ways your ancestors earned their living. What were their occupations? How did the events of the day impact them in their work? Include their picture and any memorabilia or documents. Try to describe a typical day for them based on the history of the time, for example, what did a shoemaker, like my 2nd great grandfather, do. If your family has a business that has been around for more than one generation, this would be a wonderful history to have. Geography: No, this is not a test! In times past, many of our families tended to live in the same community. Clustering is probably the right word. Although a bit more challenging, create an scrapbook album of their residences. Where did they live? In the city? On a farm? While it may not be possible to show the actual house, it is possible to get a picture of the location. Include a copy of a map from an atlas of the time showing exactly where they lived, along with picture and/or biography of the family. Again, include stories or recollections if available. As in the “Occupation” album, describe a typical day for a family in that time period. What were the major social influences of the time? I remember grandma talking about the flu epidemic in the early 1900s causing many to be fearful to leave their house. 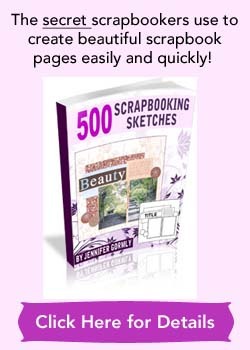 – Create a heritage scrapbook album of your favorite women or men. Tell a bit about them and why they’re a favorite. – How about an album of family traditions, stories and folklore? Don’t worry if they’re true or not, preserve them and the people associated with them. – If you have family reunions, create a scrapbook album of them to hand down to later generations. Don’t be overwhelmed… think themes! It happens. If your one-of-a-kind photo is torn, faded or scratched, you can try scanning the photo and “repairing” it with some graphic editing program. Then get the restored image print out and use it for your heritage scrapbook album. 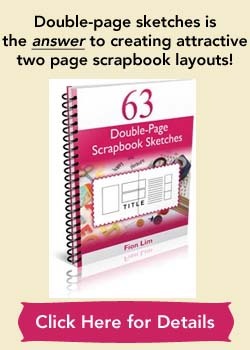 Visit heritage scrapbooking layouts, if you want some inspiration. Now that you have scrapbooking ideas heritage albums on hand, gather all your photos and precious memorabilia. Because you’re going to get going and remember to add in meaningful journaling into your heritage album!